It's all hands on deck with the Avengers, Champions, Guardians, X-Men and the INHUMANS as they clash with monstrous threats that threaten to destroy every corner of the Marvel Universe. Get ready for Monsters Unleashed! 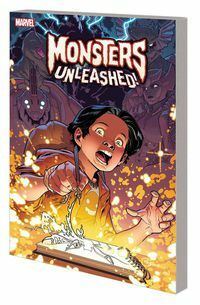 You'll find all the Monsters Unleashed issues on this special page so you know you won't miss a moment of the action! Legal Notice: Entire contents trademarked (® or TM) and copyrighted (©) 1986-2019 by Things From Another World, Inc. and respective copyright and trademark holders. All rights reserved. Page rendered at 2019-04-19 17:35:50 in 0.230 seconds.